The News Service is a hub for student work, featuring topics ranging from hard news to entertainment. Our content is not limited to print stories and we welcome photo, video and audio contributions. The Point Park News Service operates out of the university’s downtown Pittsburgh campus. Students cover a wide range of topics, across a variety of journalistic media. When you submit your stories, photos or packages, they undergo an editing/fact-checking process, then we pitch your work to news outlets around the city. This past year, we’ve established connections with publications in the city, and they’re looking forward to publishing student work. 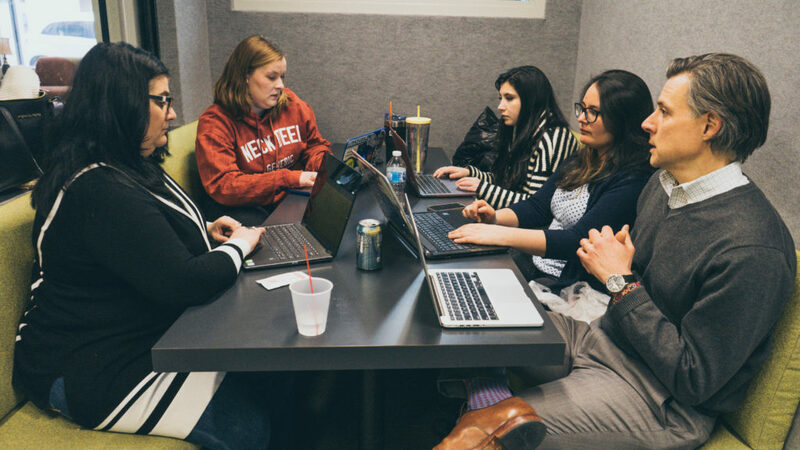 When students in the School of Communication produce professional-quality work, this news service website makes that content available to media outlets for free publication. All we ask is that they give students credit, and let us know where the content appears. Stringer fees from professional outlets are welcome but not required. News outlets, meanwhile, benefit from accessing high-quality, edited content from the fresh perspective of young reporters. Point Park journalism students already are developing creative story ideas and reporting them with vibrancy. The news service allows publishers to access that content – and it introduces them to the best of Pittsburgh’s next generation of communication professionals.